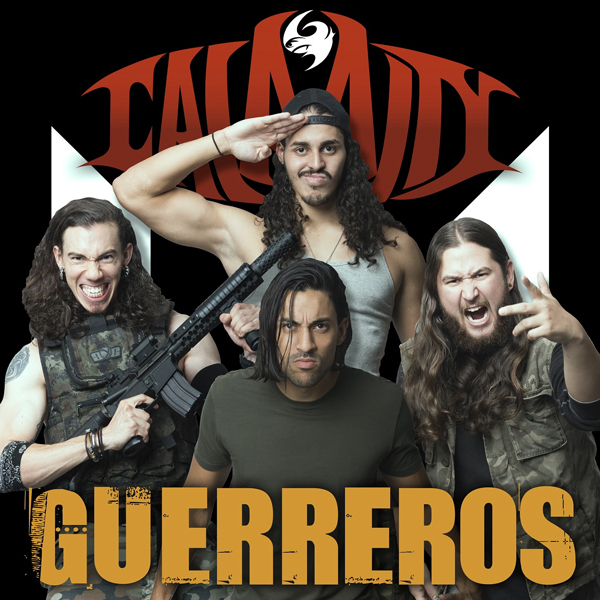 Puerto Rican hard-hitting thrash metal group CALAMITY offers a lethal dose of headbanging tribulation through the video “Guerreros” — the second single off of their upcoming album, Kairos. The sophomore album, Kairos, will be out this May 2019. “We always wanted to sing in Spanish (our main language) and now with ‘Guerreros’ we found the right way to do it. This song means a lot to us cause it’s about the daily struggles we all face in Puerto Rico, our homeland.”, Berny Santos — the vocalist/guitarist of the band comments on the song. Puerto Rican thrashing outfit CALAMITY originally started off as a Metallica cover band under the moniker Silent Scream in 2009 and soon after having own materials, they decided to continue under the name of Hush. Hush had their first gig on the local scene in 2010. After opening for Skeletonwitch in Puerto Rico, the band decided to adapt a full thrash metal style, rooted in the sonic aesthetics of both old school overlords and modern revival acts. In 2014, months before releasing their first EP, Let em’ burn, Hush changed their name to Calamity to have a better representation of their newly converted musical route. The band released their first full length, Imminent Disaster, on December 18th of 2015, which was accompanied by their first US tour from December 2015 to January 2016. This album and the next single, End of the Road, led Calamity the way to get exposure on the local TV and later in Puerto Rico’s #1 radio station “La Mega”. The same year saw their second US Tour, “Northern Disaster”, and a supporting performance at Nervosa’s 2016 show in Puerto Rico. In 2018, Calamity played at Illinois Open-Air Festival “Full Terror Assault”. Calamity is currently on the way to release their sophomore album, Kairos, in May 2019. As the first excerpt of the album, they released the video of the single The Truth in October, 2018. Video of the another single Guerreros – the first song of the band with full Spanish lyric – came out on March 15th, 2019. 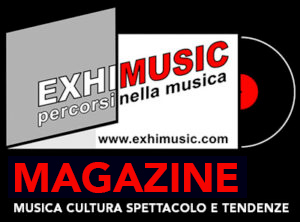 Gli The Shiver ripubblicano “Adeline” Via Wormholedeath! Oggi è Venerdi 19 Aprile 2019 – Sono le ore 06:28.